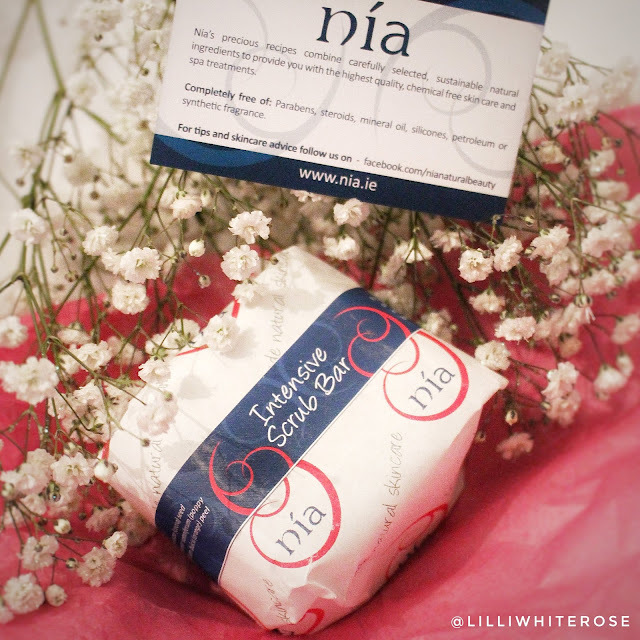 I love a product that does more than what it says, and the Nia Intensive Scrub bar is no exception. It's quick and easy to use and comes in a solid form but packed with all the ingredients you need for a smooth moisturised skin. Coming in a €12.95 I think is very reasonable for this product and I wouldn't hesitate to purchase this myself once this one I was sent has run out. This isn't my first time to use products from Nia, I've purchased the Calendula and Orange Blossom Cleansing Balm Facial Cleansing Balm and the Oat and Avocado Facial Exfoliator both I really love.